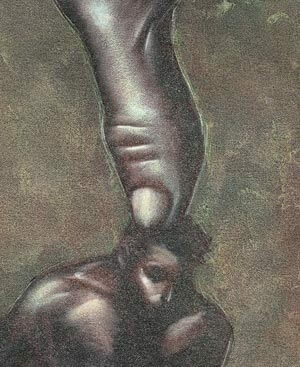 Bilal honored not only Islam, but all of humanity, when he resisted the harshest forms of torture. Let us now hear the story of Bilal who was a mere slave before his conversion to Islam. After his conversion, he became a “master” in Islam, and was honored in Islam to be chosen to regularly make the Adthan (call to prayer). So who is this Abyssinian who was yesterday only a slave? He was Bilal, son of Rabah, the one who gave the call to prayer. Out of every ten Muslims, from the beginning of Islam until today and until Allah y wills, we will meet seven, at least, who know Bilal. That is, there are hundreds of millions of people throughout the centuries and generations who knew Bilal, remember his name and know his role just as they know the two greatest Caliphs in Islam, Abu Bakr and Umar! 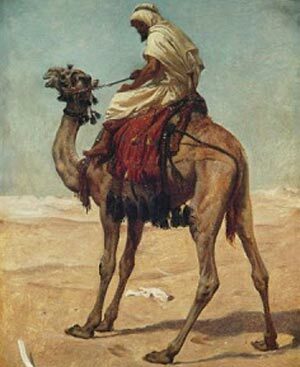 Before Islam, Bilal would tend to his master’s sheep and livestock for a handful of dates. Had it not been for Islam, it would have been his fate to remain a slave, wandering among the crowd until death swept him off the earth. However, his faith proved to be true, and the magnificence of the religion which he believed in gave him, during his lifetime and in history, an elevated place among the great and noble men of Islam. Indeed, many human beings of distinction, prestige, or wealth have not obtained even one-tenth of the immortality which Bilal, the Abyssinian, gained. Indeed, the black color of his complexion, his modest lineage, and his contemptible position among people as a slave did not deprive him when he chose to embrace Islam, of occupying the high place which his truthfulness, certainty, purity, and self-sacrifice qualified him for. The people of Makkah thought that a slave like Bilal would neither have power over anything, nor become anything. But he went beyond all expectations and possessed great faith that no one like him could possess! He was an Abyssinian of African ethnicity. His mother was, as well, from Abyssinia. Her name was Hamaama, and she was a slave to Umayyah B. Khalaf Al-Jumahi in Makkah. Yet eventually, the news of the Prophet Muhammad s message reached the ears of Bilal. In fact, the Prophet s was the buzz of Makkah; people from every walk of life were talking about him. It so happened that Bilal was doing some work, and his master, along with other noblemen of Quraish, were sitting nearby. First was their allegiance to the religion of their ancestors. Third was their envy of the tribe of Bani Hashim; that anyone from among them would claim to be a prophet or messenger. After hearing so much about the religion of Islam, Bilal accepted it and converted to Islam. It did not take long before the news of his embracing Islam was spread. It was a shock to the chiefs of Bani Jumah (the tribe who owned Bilal). Umayyah Ibn Khalaf, the owner of Bilal, considered it a great shame and disgrace, but he said mockingly: “It does not matter. The only one who will accept Islam is this slave!” However, the direct opposite occurred. Islam spread, and the practice of idolatry in the Arabian Peninsula was brought to an end in less than twenty-five years. Bilal honored not only Islam, but all of humanity. He resisted the harshest forms of torture. Allah y made him an example of the fact that blackness of skin and slavery would not decry the greatness of the soul if it found its faith and adhered to its Creator. Bilal gave a profound lesson to those during his time and afterwards as well - freedom and supremacy of conscience could not be bartered either for gold or punishment, even if its quantity was enough to fill the earth. Had it not been for Islam, it would have been his fate to remain a slave, wandering among the crowd until death brought an end to his life. So Bilal remained in his state and was tortured ever more severely. Yet, as they were torturing Bilal, one of the pagans who was present decided to play the role of a sympathizer, and he said: “Take it easy, Umayyah. By Al-Laat, he will not be tortured again. Indeed Bilal is one of us; his mother is our slave girl. He will not be pleased to talk ill about us or to ridicule us because of his conversion to Islam.” But Bilal gazed at their lying, cunning faces and with a serene calmness that shook them violently, he again chanted “God is One, God is One!” The next day, Bilal was taken out to the open sun and extreme heat. Bilal knew what was to come and he was patient, brave and knew that if he remained in this state, a great reward awaited him in the Hereafter. Abu Bakr as-Siddiq went to them while they were torturing him and shouted at them, “Are you killing a man because he says, ‘Allah y is my God!’” Then he shouted at Umayyah ibn Khalaf, “Take more than his price and set him free.” It was as if Umayyah was drowning and had caught a lifeboat. It was to his liking and he was very much pleased when he heard Abu Bakr offering the price of his freedom, since they had lost all hope that he would ever leave Islam. And as they were merchants, they realized that selling him was more profitable to them than his death. 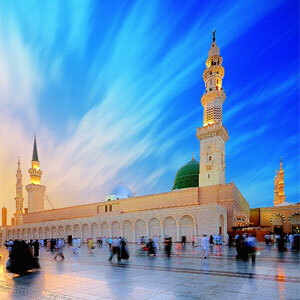 After the Hijrah of the Messenger s and the Muslims to Al-Madinah, the Messenger enjoined that a call to prayer be made. Who was to be given this honor to call the people to the prayers? Subsequent to this, the Muslims and the polytheists engaged in battle. The Battle of Badr was the first battle that took place between them. The Messenger of Allah s made the slogan of the Muslims during this momentous confrontation: “God is One, God is One!” In this battle, 70 were killed and 70 were taken as prisoners of war. The noblemen of Quraish were finished off. Umayyah shouted at him, saying, “May Allah y make you and what you came with ugly!” After this he found no way out; he had to go into the battle. Uqbah Ibn Abi Muait had been the greatest supporter of Umayyah throughout the torture of Bilal and other weak Muslims. And on that day, he himself was the one who urged Umayyah to go to the Battle of Badr where he and Uqbah would both die!It is truly amazing how Allah y executes His command. Umayyah reached his demise at the hands of none other than Bilal. When the fighting began between the two sides, and the Muslims began shouting, “God is One, God is One!” The heart of Umayyah sunk! These were the same words his slave used to repeat years before under torture and today it rocked the battlefield from all sides and was the cry of an entire nation of people! Umayyah thought to himself, had Islam spread so quickly amongst the people? The swords clashed in the battle and the fighting became severe. As the battle neared its end, Umayyah Ibn Khalaf noticed Abdurrahmann Bin Auf, the Companion of the Messenger of Allah y. He sought refuge with him and asked to be his captive, hoping that this would save his life. Abdurrahmann accepted and granted him refuge. He took him and walked with him amidst the battle to the place where the captives were held. A band of Muslims approached and surrounded Umayyah and his son, who was also fighting with the Quraish. Abdurrahmann Bin Auf could not do anything. He could not even protect his armor, which the crowd removed. Bilal was chosen by the Messenger to be the first caller to prayer in Islam. With his melodious voice, he filled the hearts with faith and the ears with awe. Prayer. He called the Adthan. How magnificent was the time, place, and occasion! Abu Bakr replied, “And who will call the Adthan for us?” Bilal said, with his eyes overflowing with tears, “I will not call the Adthan for anyone after the Messenger of Allah y.” Abu Bakr said, “Stay and make the Adthan for us, Bilal.” Bilal said, “If you emancipated me to be for you, I will do what you want, but if you emancipated me for Allah y, leave me to the One for whom I was emancipated.” Abu Bakr said, “I emancipated you for Allah y, Bilal!” He then let him go on his way. The last time he called the Adthan was when the Commander of the Faithful, Umar visited Greater Syria and the Muslims begged him to ask Bilal to call the Adthan for them. They wept as they never did before, and Umar most strongly. Bilal died in Syria, fighting in the cause of Allah y just as he had wanted.